The folks over at Metal Blade Records and Metal Injection have announced a couple of exclusive album listening events that will bring the intensely crushing sounds of the new Behemoth album “I Loved You At Your Darkest” to the lucky assembled masses. There’s even a special DJ set by Candiria’s own John Lamacchia. Check out the invite below. Location: Vandal, 199 Bowery New York, NY 10002 (6:30PM-9:30PM 21+). Important Update: Based on the interest in this event, the event has been MOVED from The Stanton Social to Vandal New York. There is also a time change with the new space starting earlier and ending earlier. PiercingMetal Thoughts: I’ve been following the Metal happenings of Behemoth since I think around 2004 which was very early in my own journalistic adventures and also before the PiercingMetal.com website was even a thing that I was doing. They have ALWAYS managed to impress me with the intensity of the sound they had and the dramatic presentation of their shows often left me rooted to the spot I was standing in. Recently, I’ve shared the news about their upcoming National Tour (seen HERE) along with their NSFW video of “God=Dog” (discussed HERE). Interested fans of the region will want to act fast and RSVP via the information on THIS LINK and since this isn’t a huge place, you’ll want to get there as early as possible. I’ve read that a simple RSVP does NOT guarantee your entrance. I realize that the two coastal events might make some middle states fans furious and that’s where your social networking powers come into play. Perhaps if enough of you sound off, the band will add some additional events to let you listen in. You don’t know unless you try right? That’s all I have about this one, so tell me what you think about it happening. I’ll ask you to keep the comments to this particular announcement because you can chime in about the tour or video on those posts themselves. Thanks fiends. See you next time. Welcome back my friends and here we go with Part 3 of our Day One coverage of the 2014 NY Comic Con. I’ll skip any dancing around with any pre-thoughts and just get down to business. My last chapter for Day One begins with what I observed at the Bandai pavilion and as you see they were putting the Red Power Ranger to good use while he was here and not out saving the universe. 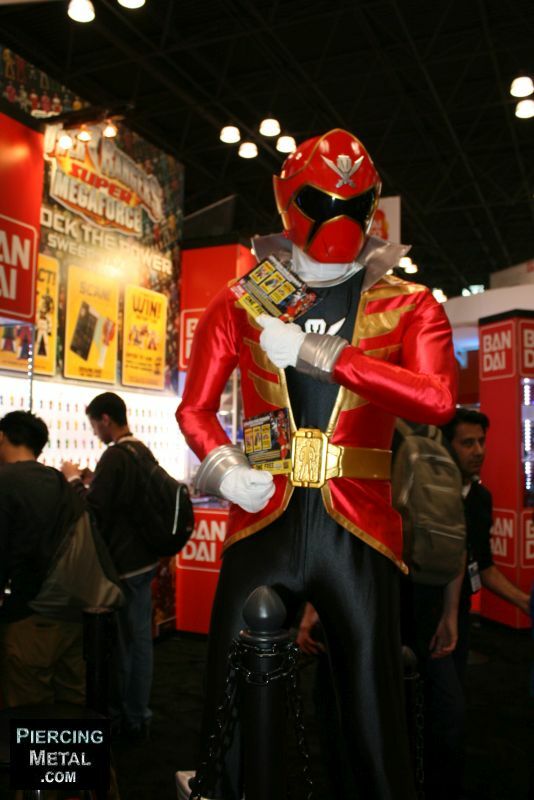 Thanks Red Ranger, I will indeed take a flyer from you. Let’s get to to work. 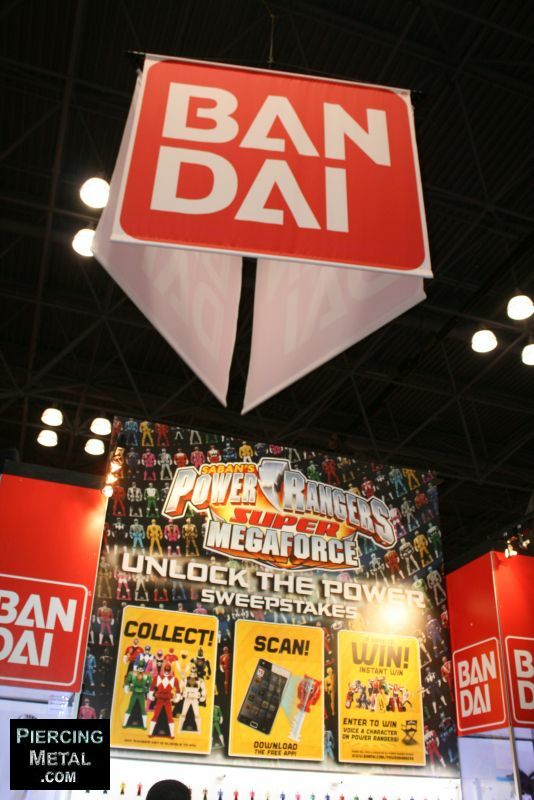 The Bandai pavilion had you being put to task to try and win some prizes. I didn’t try myself since I had so many other visuals to focus on today. They had lots of action figures around for fans to secure. Here’s one of the Metal Legions that I see at shows all the time. 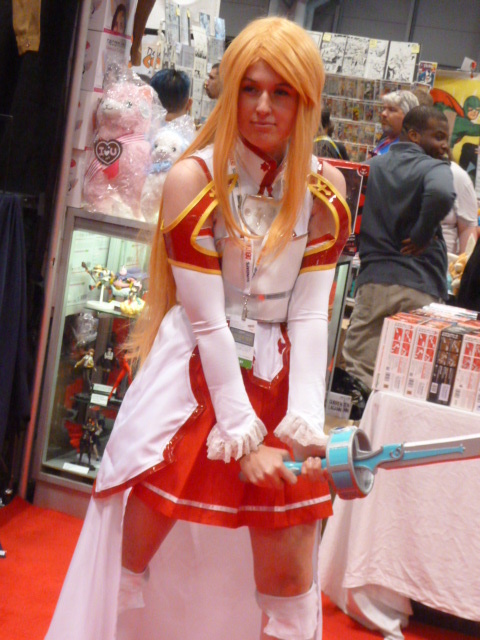 I was officially spotted at NY Comic Con. Maybe I should bring along some CD’s next time for those who manage to locate me in the myriads of people out there.